Huge portions of mouthwatering BBQ at a great price. Who doesn’t want that? 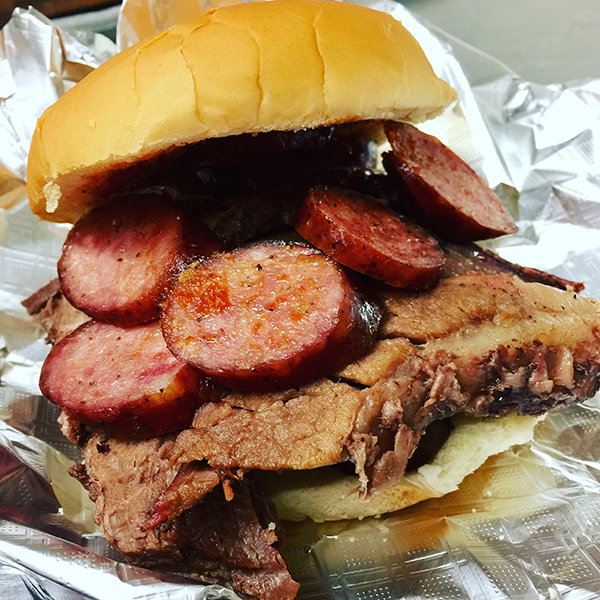 You’ll find fresh-prepared bbq meats like our tender brisket, which you can eat with or without teeth! Slow cooked with all the fixin's! on a Bun, Smokehouse Pintos and Tea! 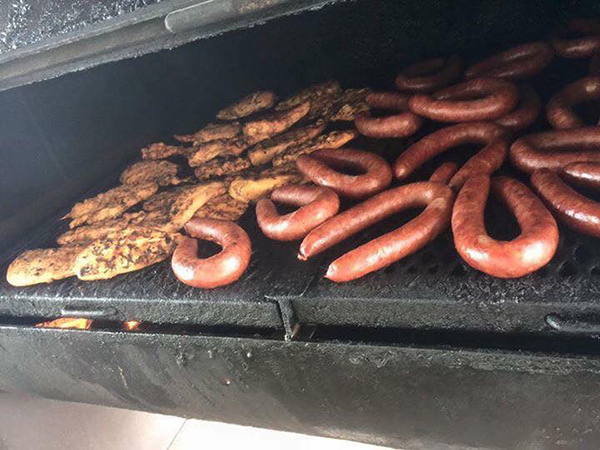 1 Meat (brisket, chicken, or sausage) 1 Side and Tea! 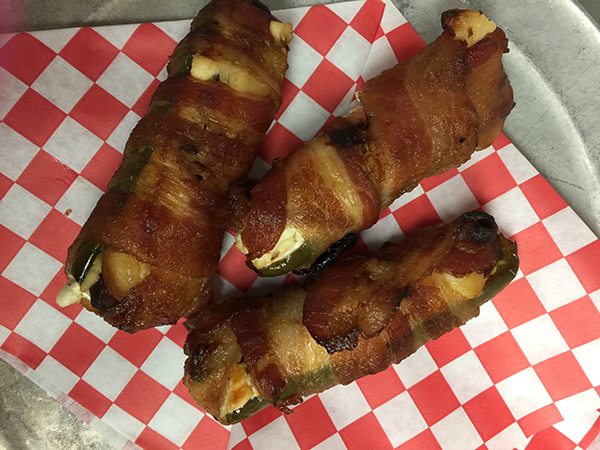 Fresh jalapenos, stuffed with cream cheese, wrapped in bacon, and smoked on the pit!! $1.50 * 20 Oz. / $2.00 * 32 Oz. Nothing pleases a large group like fresh barbeque! Give ‘em the taste that will have them talking well into next week. Trust Holy Smokes! 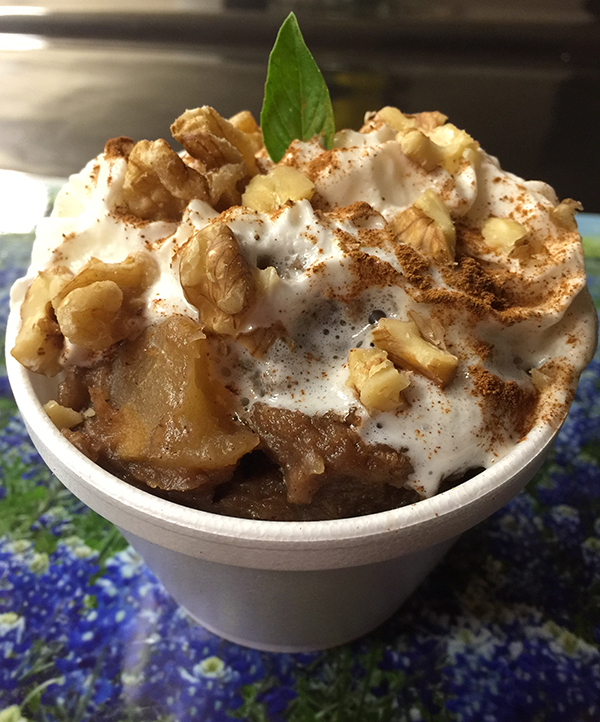 B-B-Q & Catering to provide the delicious eats for your next special event! No teeth required for our fall apart brisket! For more information and pricing call 830-201-4145. ALL MENUS ARE PRICED FOR US TO SERVE YOU WITHIN A 25- MILE RADIUS. ABOVE 25 MILES, FUEL SURCHARGES WILL OCCUR. P.S. It's OK to tip our servers! THANK YOU FOR CHOOSING HOLY SMOKES! BBQ & CATERING FOR YOUR SPECIAL EVENT! WE’LL DO OUR BEST TO MAKE YOUR NEXT EVENT, THE BEST ONE EVER! CALL 830-637-7012 TO SCHEDULE YOUR NEXT EVENT! CALL US TODAY! 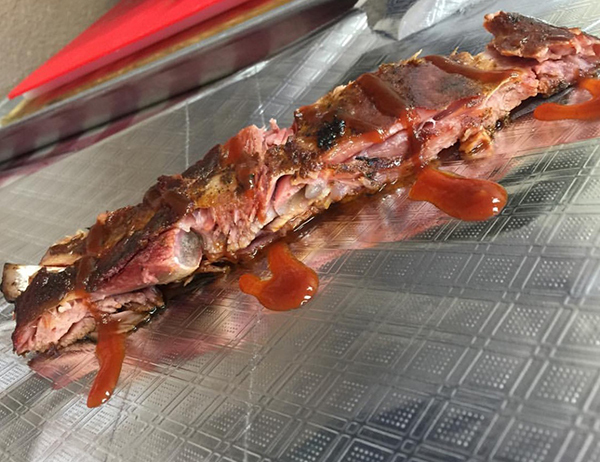 Holy Smokes BBQ welcomes constructive criticisms about the food. We want our customers to leave happy. Please note that the restaurant sometimes closes early when customers buy us out of food! If you are planning an afternoon or evening visit to Holy Smokes BBQ, please call us first to make sure we still have food. Ten years later, the smoked meats are winning awards and are being talked about and catered to several states around the country. Randy and Mary Ann are also community-oriented and have donated their time, labor, and food to many organizations, including women’s shelters, children’s homes, senior citizens’ activity centers, and Red Cross natural disaster relief. Most days, you will find Randy composing a “Daily Special” Facebook post, in between tending the fire and smoking briskets at 3:00 a.m. (so they are fresh and ready when the restaurant opens at 10:30 a.m.). Mary is usually scurrying around, hand picking the best quality items, training employees, making sure the restaurant is spotless, chasing grandkids and handling the book work! Given the chance, you’ll usually find Randy and Mary sitting down and chatting with their beloved and loyal customers. Randy and Mary have three girls, five grandchildren and two dogs.